The Labor Day long weekend is here! As much as I love a long weekend, Labor Day marks the end of summer and I am just trying to hold onto summer for as long as I can. I don't have any big plans this year, I just want to enjoy the city while it is empty. 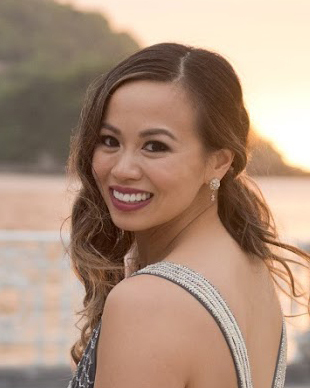 Just yesterday, I went to Trader Joe's and there was no line! That's insanity!! If you have ever visited Trader Joe's in Manhattan, you know what I mean. LA has crazy traffic jams even at midnight. NYC has two lines at Trader Joe's that wraps around the entire store twice. 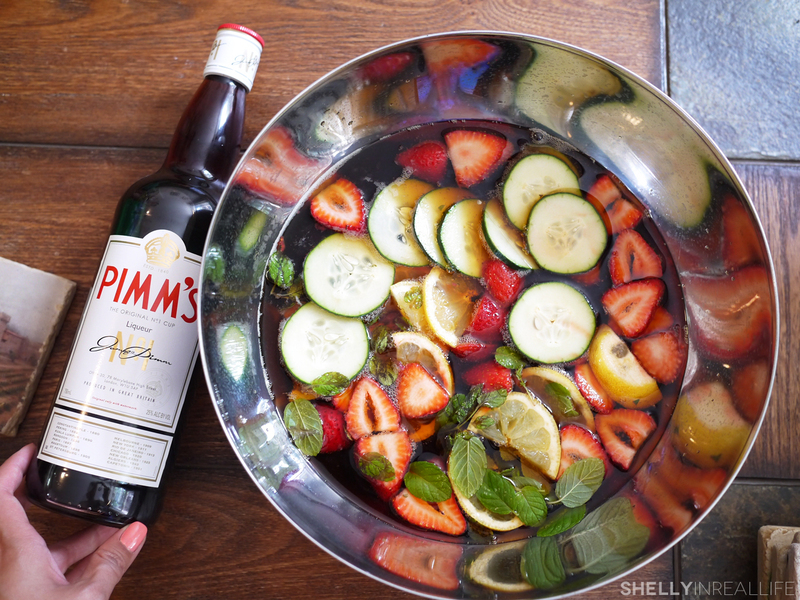 As the weekend begins, I wanted to get this perfect summer drink in your head: a Pimm's Cup. No silly, not a PIMP's cup. 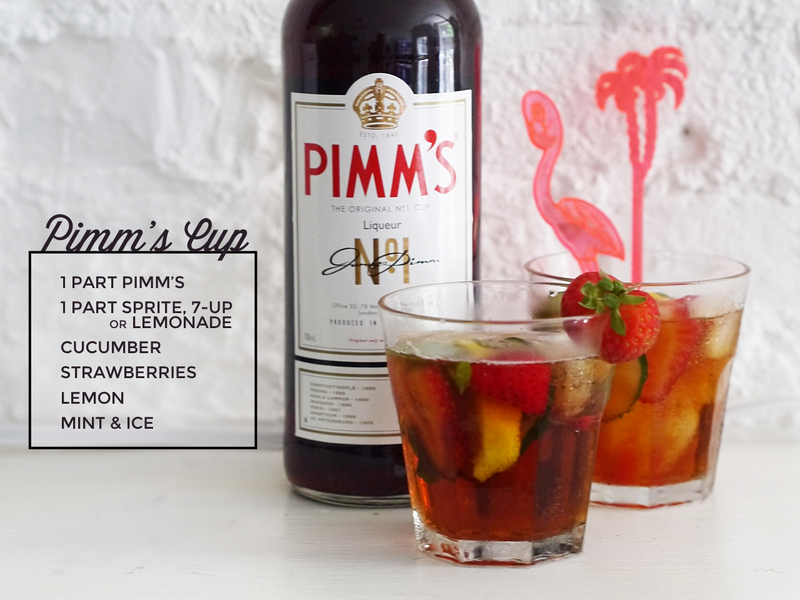 A PIMM'S Cup! 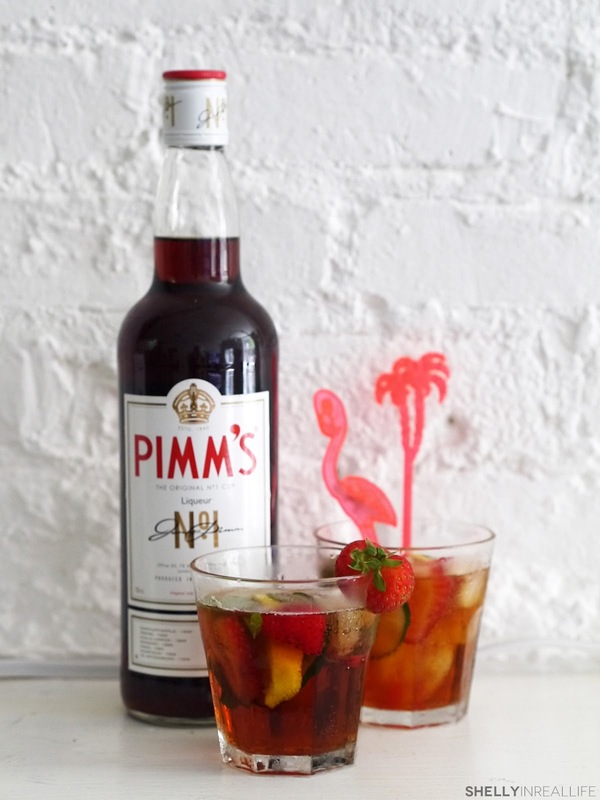 This drink was first introduced to me by my Australian coworker, she described it to me as the drink that's enjoyed by all the proper ladies at polo matches and Wimbledon in London in the summer. After having a sip, I can see why. It's super refreshing and pretty to look at. Oh, did I mention that it's super easy to make as well? 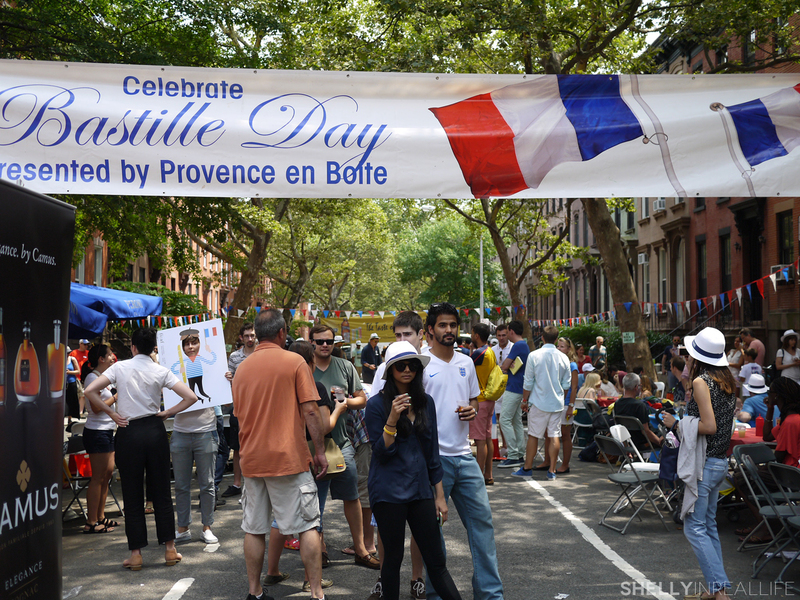 Last month, I went to my friend's to enjoy the Bastille Day Festival and she had this waiting for us. It's great for parties since you can make a huge batch and serve everyone at once. 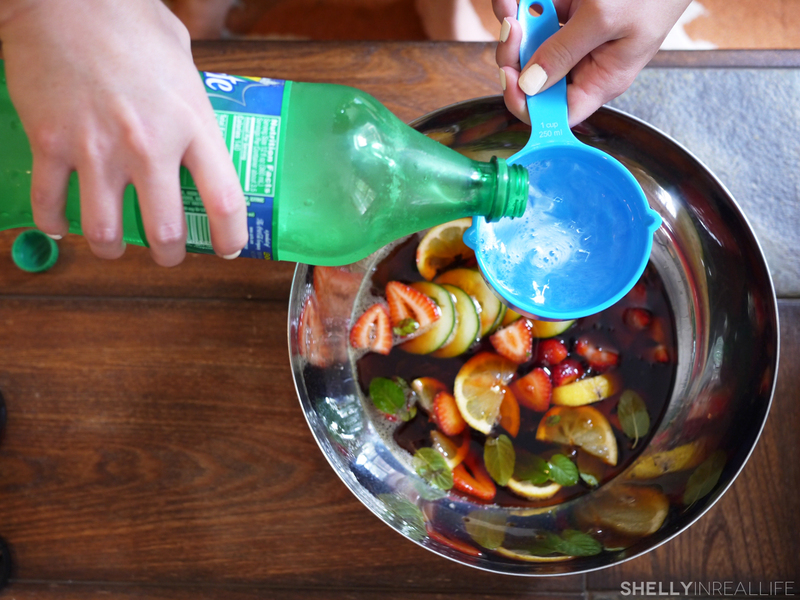 This drink requires a mixture of fresh fruit. You can get creative with this, but traditionally it's served with cucumbers and some type of citrus fruit like lemon. 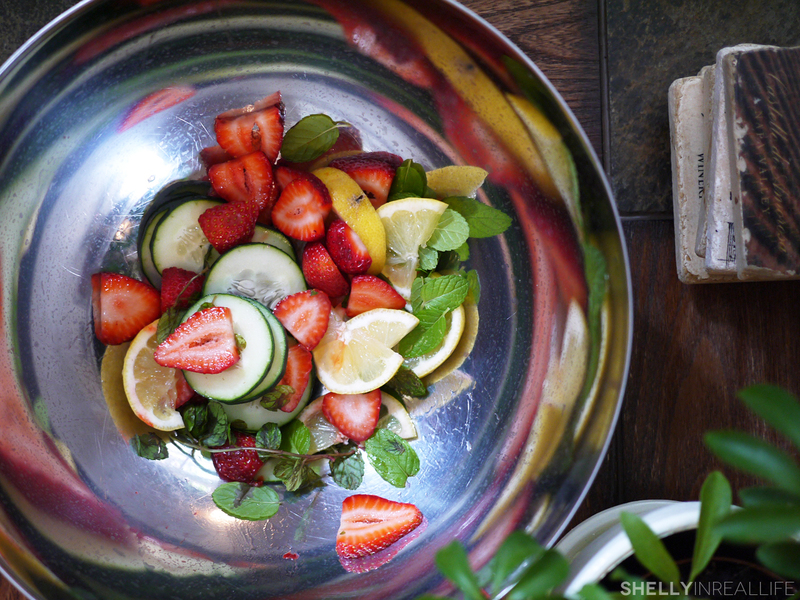 We also added some strawberries and mint, but you can really change this up and make it your own. 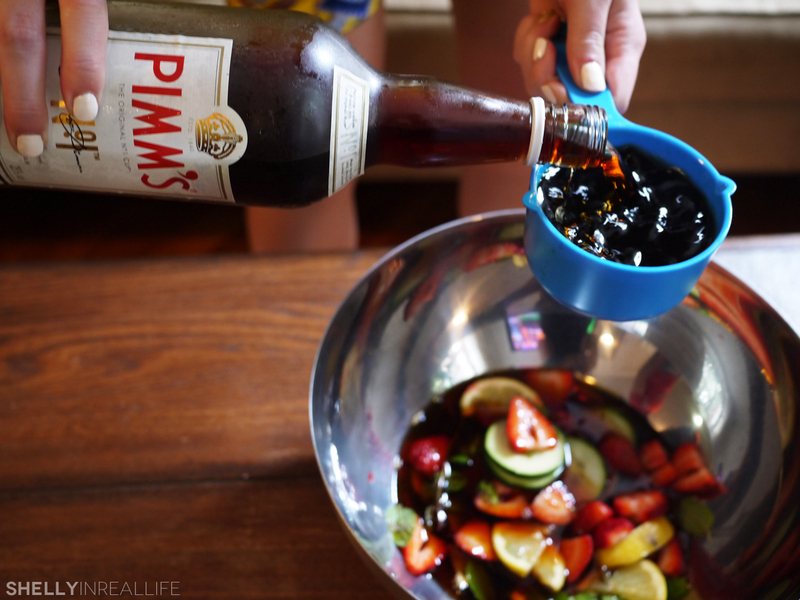 Then you add one part Pimm's, a gin-based citrusy liquor that's "only" 25% in alcohol content. Top it off with one part of your choice of a lemon-y soda like Sprite or 7-up or straight up lemonade. You can also add ginger-ale or ginger beer which I personally prefer but we didn't have on hand. Oh, and be sure to serve it with a ton of ice! Seriously, this is perfect for you to enjoy this weekend no matter the occasion. Ever since I learned about this drink, I see it on cocktail menus everywhere for so much $$$. Save some dough and make your own instead! Oh, and don't forget, pinky's up! 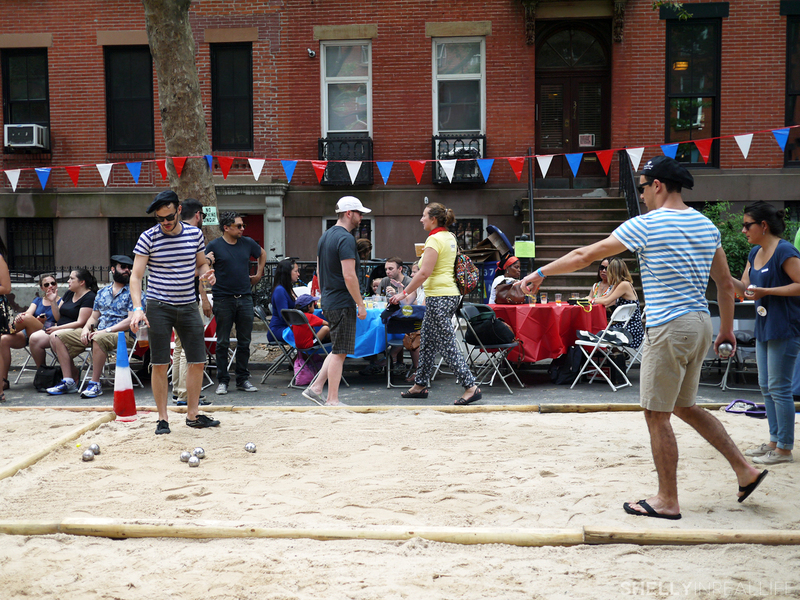 Let's end this with a few pics from the Bastille Day celebration on Smith Street in Brooklyn. Tons of courts for Petanque ball were set up here along with other French things. Just too cute and festive. Hope you're off to enjoy the rest of your summer!